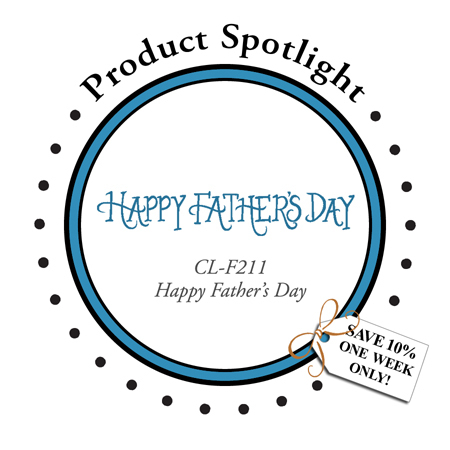 DeNami Product Spotlight: Happy Father's Day | Work in Progress. Check out the stamp in the newest DeNami Product Spotlight! With Father's Day right around the corner, this stamp has the perfect font for the manly men in your life :) Don't forget, the stamp in the spotlight is 10% off for one week!!! I stamped the sentiment in dark blue and placed it on top of blue card stock that I crinkled with my paper crimper. Then I added some rustic twine for a manly look. Then I placed that all atop a base of kraft. Make sure to see what the rest of the amazing DeNami DT have in store. Posted in DeNami Product Spotlight, Fathers Day, Twine . Bookmark the permalink. RSS feed for this post.